This cheese totally surprised me, poking its fuzzy little rind out of a display case at a beer and wine shop on the Outer Banks. I've read about the Moser cheeses from the Swiss company Moser Kase, but never actually tried them. Available in a few flavors, these cheeses are brought in by Quality Cheese, the same company that imports the wonderful cheeses of Rolf Beeler. 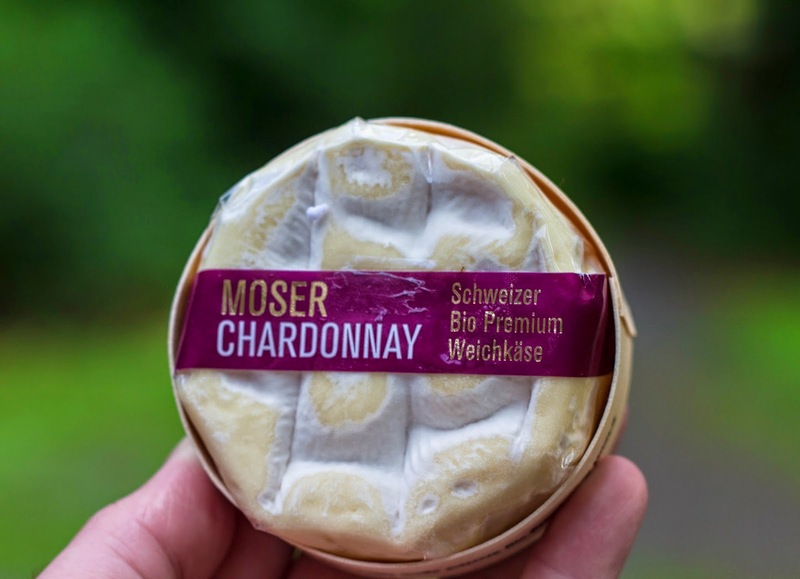 Similar to a baby Camembert, Moser Chardonnay is a small (4.4 oz) wheel made from organic milk, then washed in organic chardonnay wine. The wine helps the tiny wheels develop a thin, soft rind of white mold. Due to the expense of organic certification, and the fact that this cheese needs to be flown in by air (rather than cheaply shipped in by boat like big sturdy wheels of Parm, Gruyere, or Manchego), it's usually only available as a preorder. This also raises the price, which was $13.99 ($50+/lb) for the little wheel. And here I find it, in all places, on the coast of North Carolina, sandwiched between cryovac'd wedges of English cheddar and local NC beers. If you read a lot of books on cheese, they usually spend several pages talking about how to spot bad or mistreated cheese. 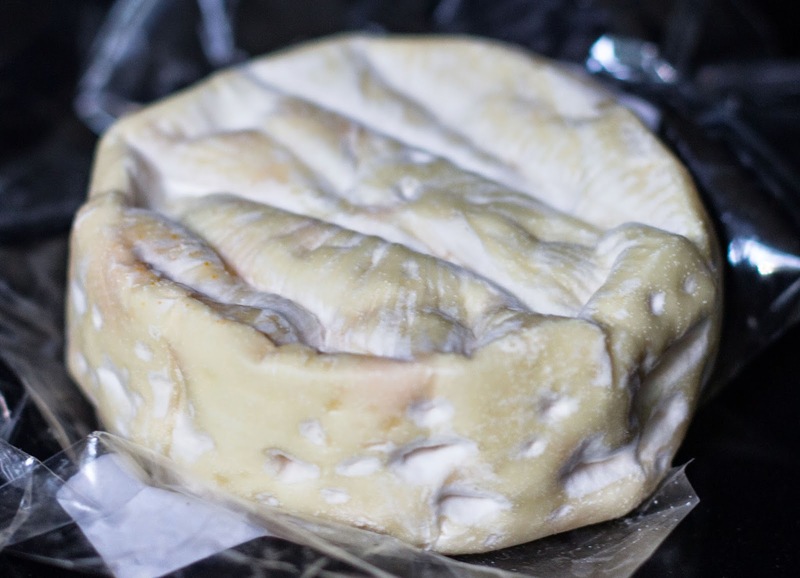 A browning rind, odd damp spots, cracks that could allow air and mold in, sagging rinds sinking into the cheese's core. There's a lot that can go wrong, and more often than not you need to approach the artisan and esoteric with a bit of hestitation. But this was perfect. Slightly firm to the touch, a fresh mushroomy aroma, and a nice, bright rind. Moses Chardonnay is a delightful little cheese that's quite rich and creamy, with a slight sharpness in the finish. 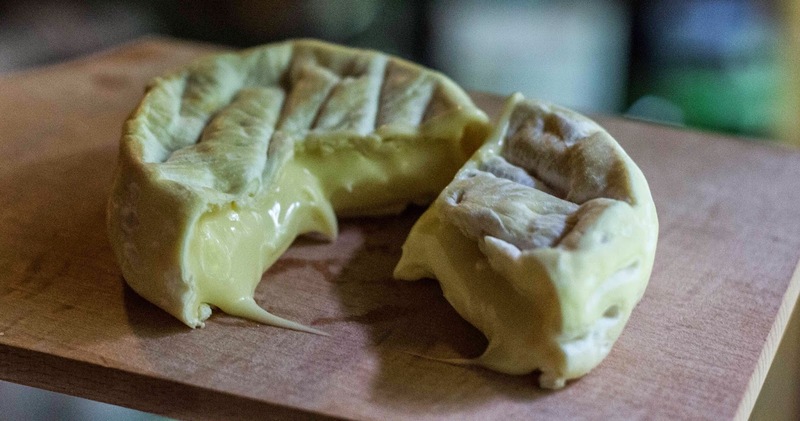 Much like another Swiss counterpart, Tomme Vaudoise, Moser Chardonnay has a thin, felt-like rind that's very easy to eat and enjoy with the center paste of the cheese. While some Brie or Camembert can have a thick skin that's a bit too crusty for my tastes, this rind was much less intrusive. Was it worth the price? That's hard to say. I really enjoyed the cheese, but I think a great deal of the enjoyment came from finding such an obscure cheese in peak condition at the most unlikely of spots. When I think back about the cheese, most of my thoughts center on the serendipity of discovery, rather than the actual cheese itself.